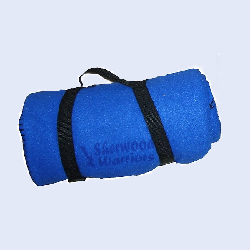 Each year, the Warrior Club recognizes student-athletes who will play their sport at the collegiate level. Families and friends of the athletes are invited to attend this event that is publicized with local media. 2019 COLLEGE SIGNING DAY will be held in the Spring! 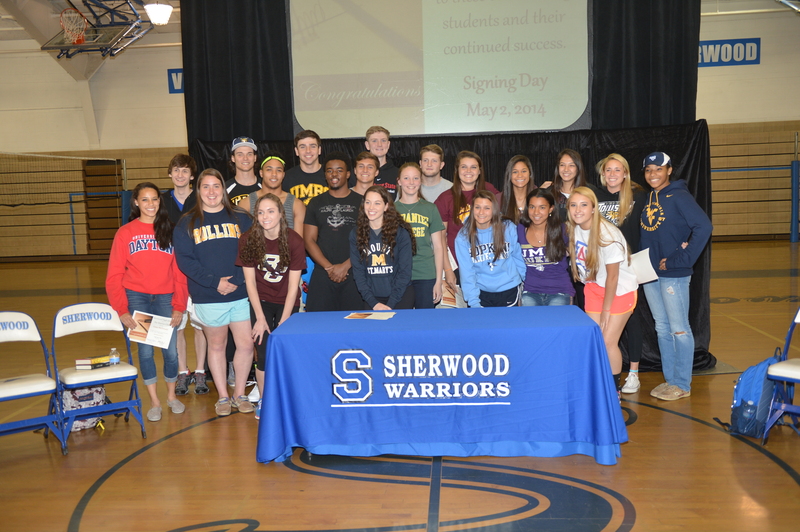 Sherwood High School and the Warrior Club, recognized 19 student-athletes who will play their respective sport in college on May 16, 2017. 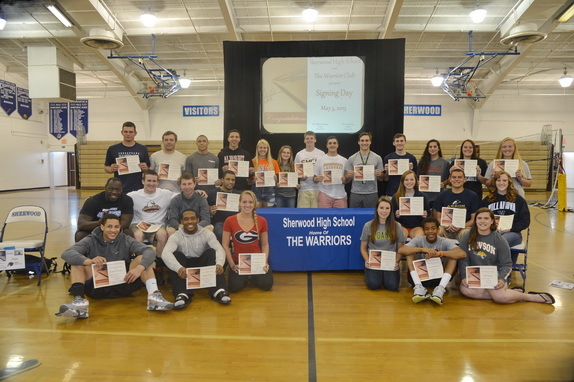 Sherwood High School and The Warrior Club recognized 25 senior student-athletes who intend to play sport at the next level on Thursday, May 5th, 2016. One dozen different sports programs were represented in the event, reflecting the diversity and strength of Sherwood athletics. Front Row Left to Right: Megan Enright (Track& Cross Country/Hood College), Caitlin Mercado (Dance/University of Maryland), Kara Carney (Softball/Heidelberg University), Marisa Mancini (Softball/Swarthmore College), Hannah Brown(Volleyball/Frostburg State University), Christopher West (Basketball/Positive Day Post Grad School), Josh Sweeney (Football/Salisbury University), Tyler Bernstein (Baseball/Johnson & Wales University), Sebastian Lambert(Soccer/Saint Vincent College), Delaney McMenamin (Lacrosse/George Washington University), Ted Devers (Warrior Club President). Back Row Left to Right: Rebecca Phillip (Soccer/Frostburg State University), Ariella Amaguana (Soccer/Montgomery College), Lea Owen (Tennis/University of Richmond),Margarita Ryan (Swimming/Virginia Tech University), Morgan Hill (Swimming/Universityof Virginia), Jaime Schmier (Softball/ Washington & Jefferson College),Shawn Bliss (Football/West Virginia Wesleyan University), Bailey Doan (Baseball/York College), Charlie Siarkas (Football/West Virginia Wesleyan University), Kristen Russell (Lacrosse/James Madison University), Taylor Andrews (Lacrosse/Army West Point). Missing in the photo: Bob Jonjo, Jr. (Football/Lackawanna College), Barbara Pizarro (Soccer/Frostburg State University), Danielle Rohrman (Lacrosse/University of Mount Union), Marcus Simms (Football/West Virginia University). Volleyball-Girls: Kerra Tirado, Rollins College. Alia Smith, York College of PA (Basketball).